meow head baby hat, originally uploaded by happyday.etsy.com. This shot was sent in to me by Juno. I always love to see what kinds of different textures and colors folks use when they knit up my patterns. 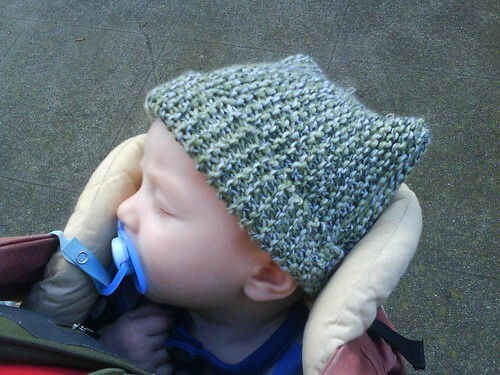 If you have a shot of something that you’ve knit up from one of my patterns, send it my way. Who knows, maybe you’ll make the blog or be the next model for one of my Etsy listings!